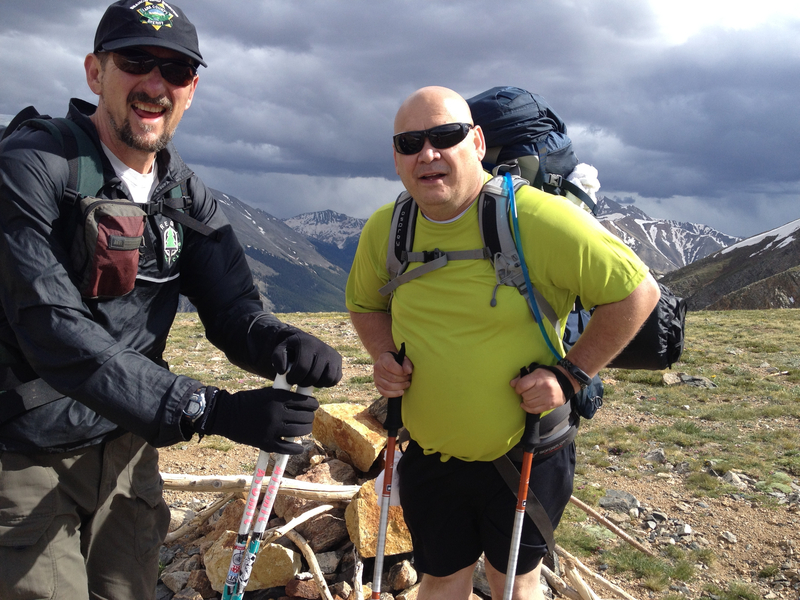 Together with two friends, Mike and Rob whom I have known for 38 years, I set out last weekend to hike the Collegiates Western Loop of the Colorado Trail, where it follows the Continental Divide Trail west of Buena Vista. 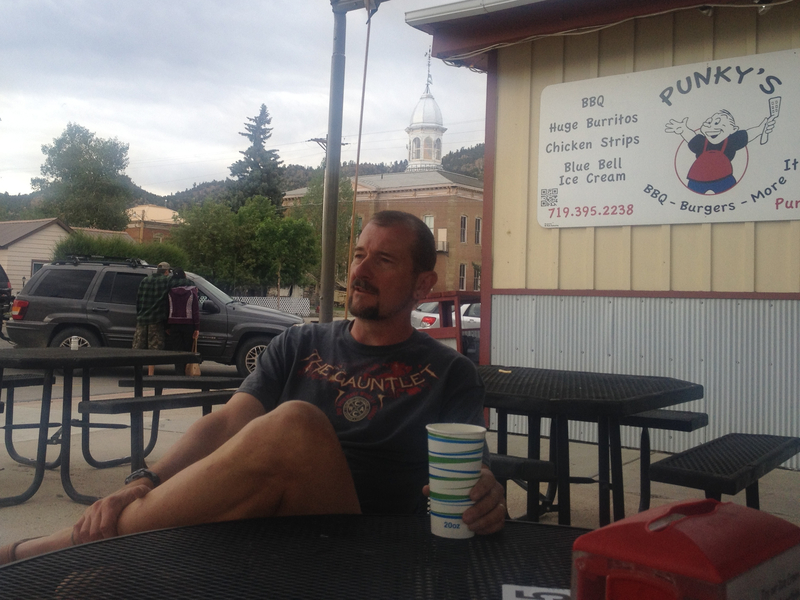 We met up in BV for BBQ at Punky’s Diner. Very tasty. Afterward we camped off Cottonwood Road since we were parking one of the cars here in the middle of our planned route. In the morning we ate breakfast at the Roosters Crow Cafe and began our southbound trek just north of BV at Twin Lakes. The Twin Lakes are perched at 9200 feet off Hwy 24 and 82. We parked at the trailhead on the east side of the lakes and hiked the East Collegiate Loop CT well over a mile before reaching the intersection with the CDT and West Collegiate Loop. This newly designated trail runs for about three miles relatively flat and then rises through Little Willis Gulch over the next four miles to 12,540 feet, peaking at Hope Pass between Mt. Hope and Quail Mountain. 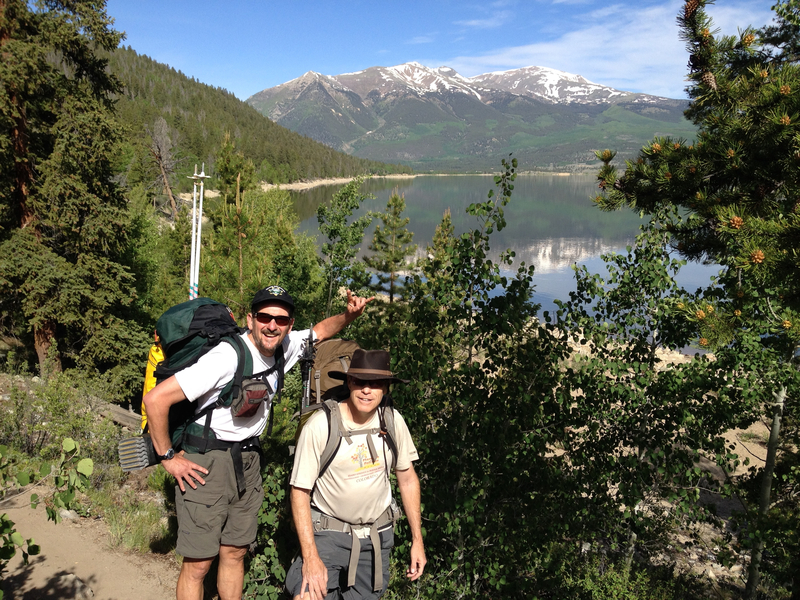 I am pictured here with Rob aside the Twin Lakes with Colorado’s highest peak, Mount Elbert, in the background. 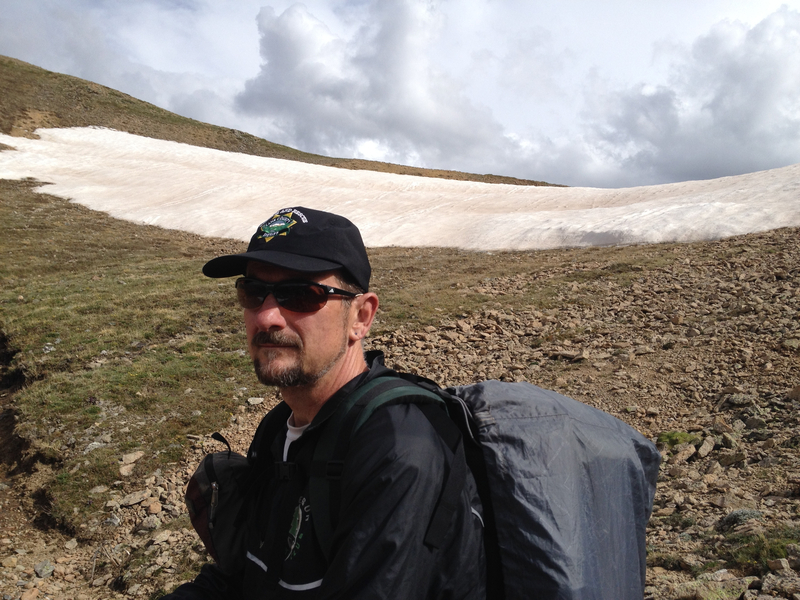 Carrying a 35 pound backpack, the 16% grade up to Hope Pass was exhausting. Despite the cool mountain morning air, I sweat profusely. I rethink my decision to not whack off my hair before this excursion. 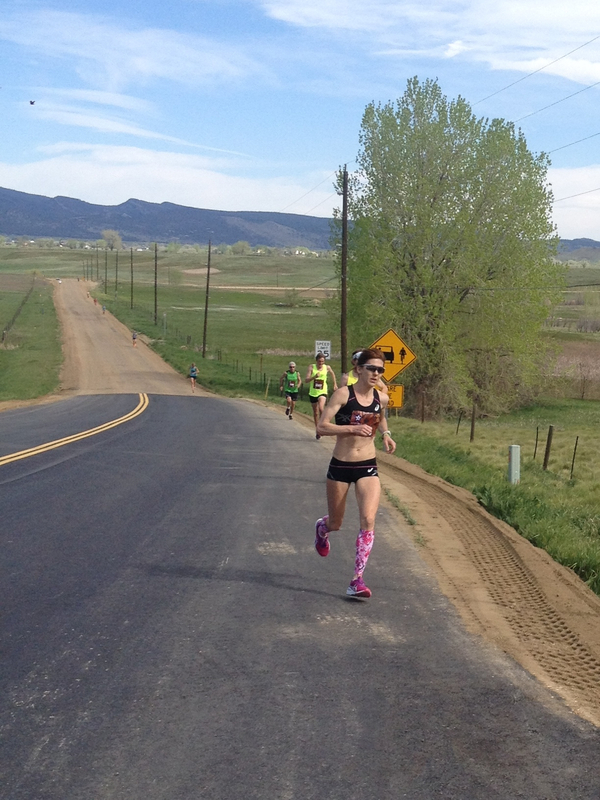 My three months of preparing for this effort consisted mostly of recovering from my surgery in early April. Walking, then running, and pelvic floor exercises. Man, I should have performed more leg weights and run some hills. My travails are nothing though compared to Mikes’. Mike weighed 280 pounds when he committed to join us in early April. He lost a little over 40 pounds in his three months of training. Essentially, Mike was carting two additional backpacks in body weight than me up this hill. I wasn’t sure if this hike would be possible for Mike. Boy was I wrong. America’s Biggest Loser could not have pulled off what Mike accomplished. 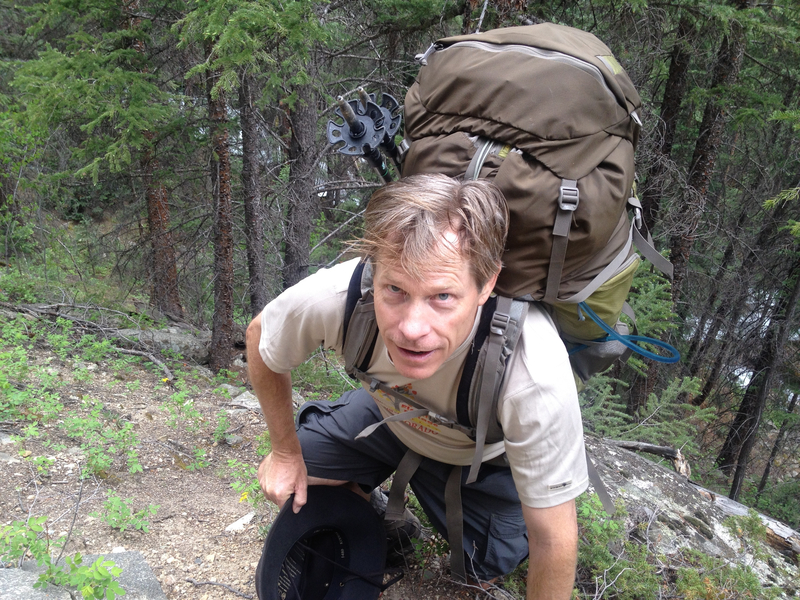 Averaging one mile per hour, Mike completed 12 miles in 12 hours at two miles of altitude. His FitBit reported his progress in terms of stair steps but otherwise lost its ability to accurately record the extreme results. The trail over Hope Pass was buried under impassable snow. Rob lead us in a path that bushwhacked around the snow field. 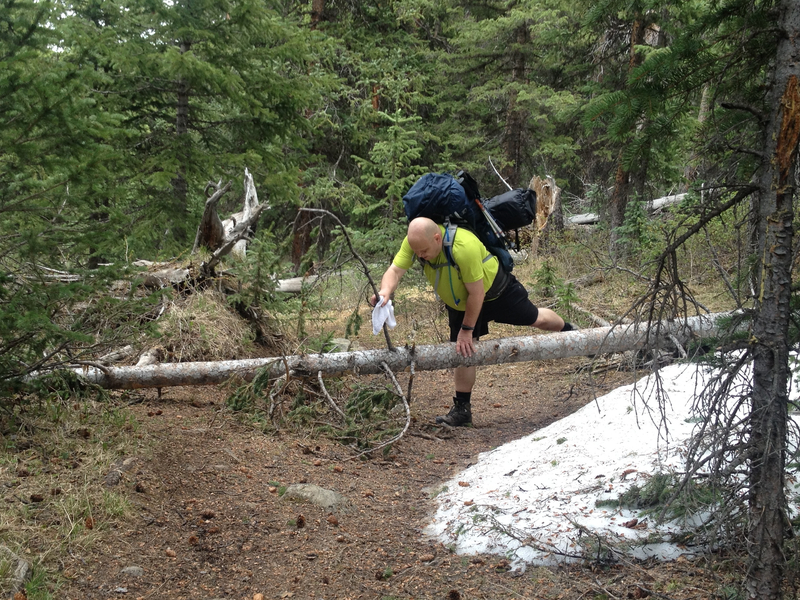 The Colorado Facebook page warned hikers that the Western Loop was still impassable due to such snow fields. With Rob, trail name La Plata, we were undeterred and ultimately reached the summit. This was Mike’s first such summit, but only the first of many passes and saddles that lie before us. Despite our initial qualms, La Plata and I put our doubts aside about Mike’s ability to hike this trail with the unrelenting demonstration of will power required to mount this pass. For Mike, the views reinforced his commitment and confidence to continue forward. We were then presented with a steeply dropping trail on the south side of the pass, three miles through switchbacks along Sheep Gulch – down into Clear Creek which lays between 9800 and 10,000 feet. 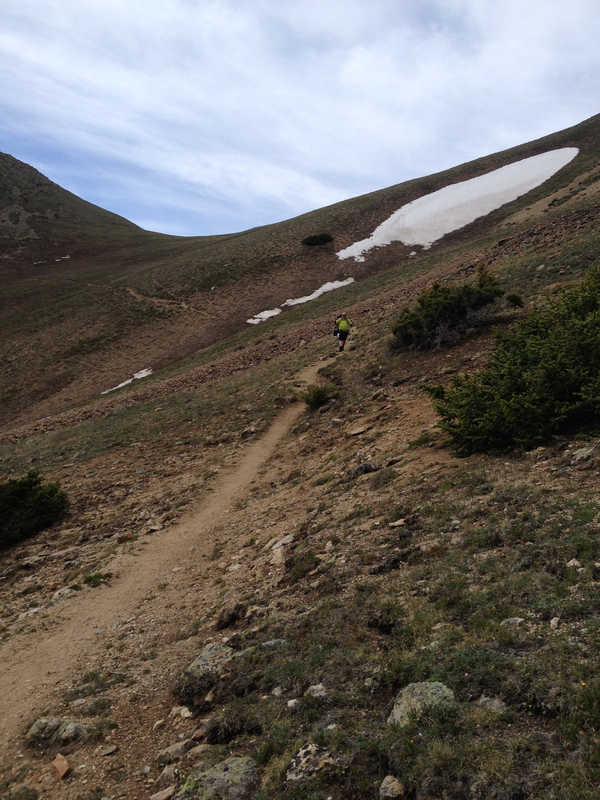 It’s beyond me how runners of the Leadville 100 run over this pass in both directions as part of that storied ultra. The four mile ascent, nine miles total for the day, left us with very little strength for the descent. Our trekking poles kept us steady despite fatigued knees and burning thighs. Eventually, after a grueling plummet down Sheep Gulch, we reached a restful spot to make camp. We took stock of our accomplished day as we setup our tents and replenished our water supplies. Mike and I were both quite pleased with some of our recent purchases – namely our Patagonia puff jackets and Salomon hiker boots. 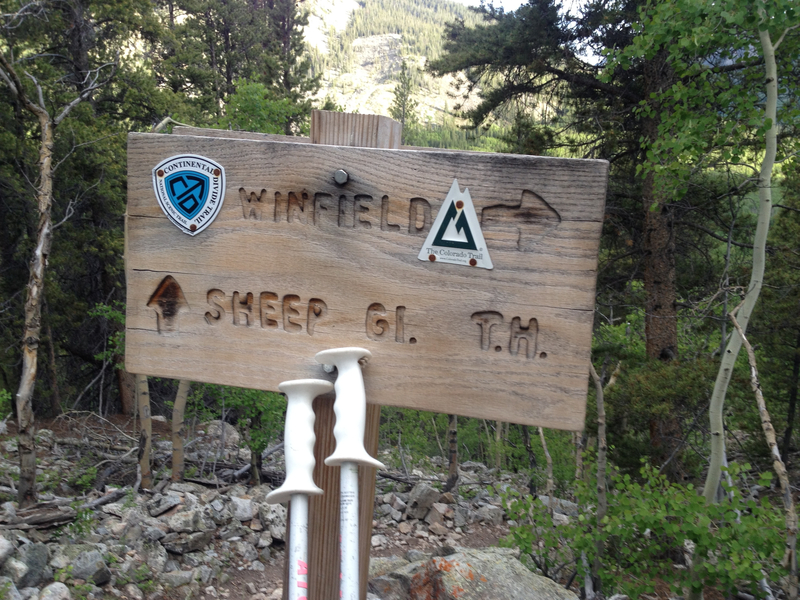 Mike was mixed on his collapsible trekking poles – they can be an irritating burden at times. And he didn’t care for the Epic protein bars although I absolutely loved them. 200 calories of tasty meat. Yum. Ending the day exhausted, there would be no campfire. I’m not sure we even made it to campers midnight – 9pm. We retired early and prepared for day two which would include another 12,000 foot pass above Lake Ann. We were snowed on quite a bit but overall the conditions were really nice.